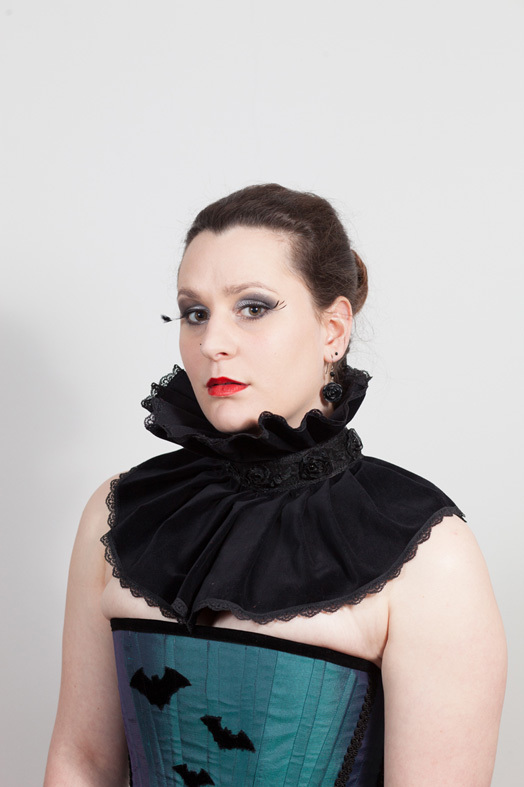 High Neck Velvet & Lace Ruff, Collar. 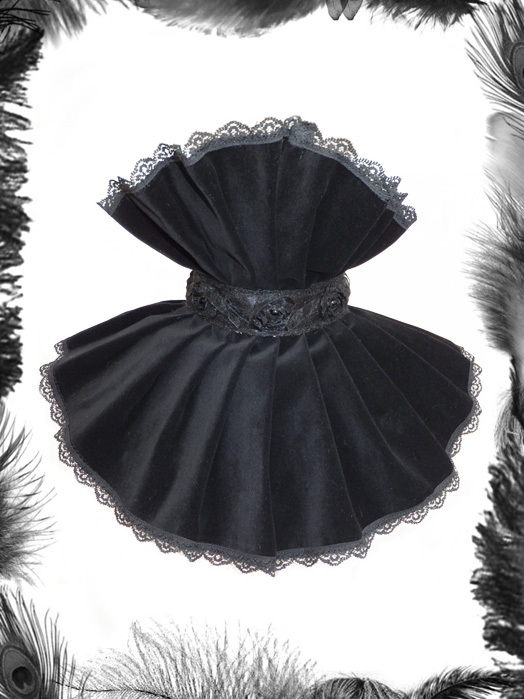 Pleated Cotton velvet with lace trim edges and lace rose trim in center. Ties at back with satin ribbon. Velvet available in many colours. 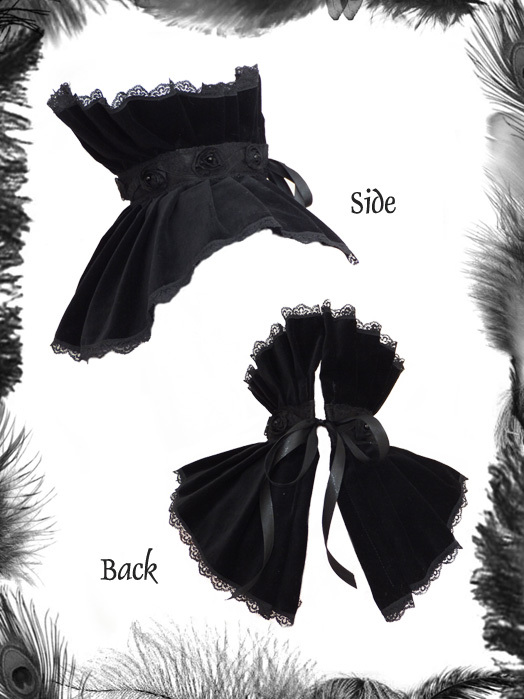 Lace trim in black unless otherwise requested.